STUDENT: Can you expand upon this basic definition of holism? defining any individual unit within that system. 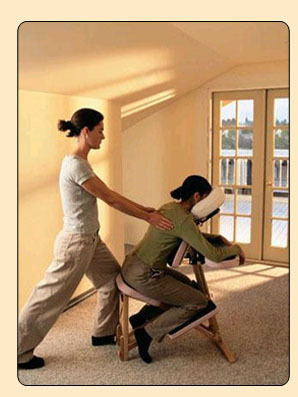 It can include nutrition, herbs, corporate chair massage, stress management and many other approaches. STUDENT: What is the origin of the word Holism? STUDENT: How can the sum be greater than the parts? LEWIS: Read on and you will see. STUDENT: How widespread is holistic thinking in the academic world? considered a radical concept in the mainstream scientific community. other units in that same system. approach to natural systems may produce surprisingly unexpected behavior. Holism based models can address why these events occur. to explore holism as a valid approach to systematic thinking? STUDENT: What is Holistic medicine? have come to be known as Holistic medicine and Holistic healing. STUDENT: How does holism apply to linguistics? be understood in terms of its relations to a larger body of language. – the interaction of contradictory opposites. This can be confusing. STUDENT: Please speak about reductionism? problems and understanding the world through the scientific method. it may be, can be understood by reducing it to its most basic units. has come to be known as the classical scientific perspective. STUDENT: How does the Theory of Reductionism contradict the theory of Holism? STUDENT: One might say that in reductionism what you see is what you get? plus 2 is four in reductionism. In holism there will be times when 2 plus 2 will equal 5. LEWIS: That Holism is really just a non-linear form of reductionism. STUDENT: What is the practical application of this explanation? will limit the success of the healing process.